It’s Time for Halloween Magic with Winnie the Witch! Halloween will soon be upon us – the perfect time to organise a Winnie the Witch Halloween Party! Or, if you’re a big Winnie and Wilbur fan and are looking for fun, creative activities about your favourite characters, then look no further. 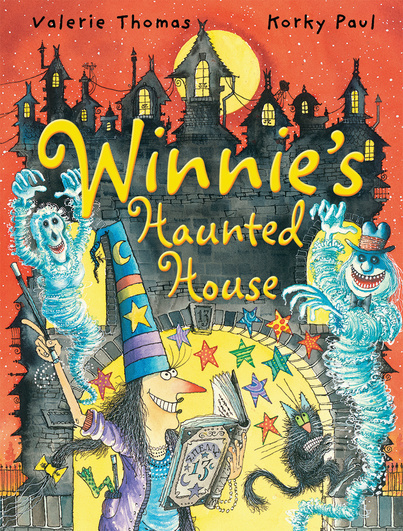 Download this great new party pack, full of great Winnie and Wilbur games and crafts suitable for schools, bookshops, libraries or home use, including: draw your own spell, make your own pop-up cards and finger puppets and a Winnie the Witch quick draw challenge! Plus, you’ll find lots more Winnie fun, as well as dressing up ideas (in the Play area) at www.winnie-the-witch.com. The brand new Winnie the Witch adventure, Winnie’s Haunted House is out now. ← “Really? You don’t know what MATTER is?”: Nobel Laureate in physics uses doughnuts to explain.